LONDON, ENGLAND - JULY 09: Catherine, Duchess of Cambridge carries Prince Louis as they arrive for his christening service at St James's Palace on July 09, 2018 in London, England. 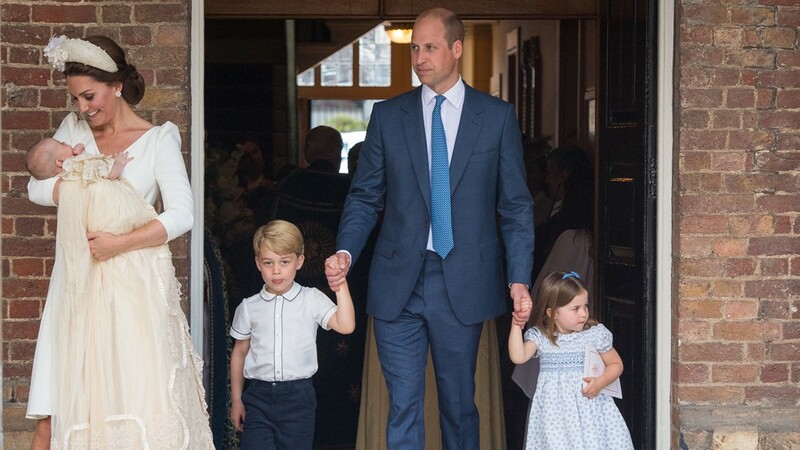 LONDON, ENGLAND - JULY 09: Princess Charlotte and Prince George hold the hands of their father, Prince William, Duke of Cambridge, as they arrive at the Chapel Royal, St James's Palace, London for the christening of their brother, Prince Louis. LONDON, ENGLAND - JULY 09: The Duke and Duchess of Sussex depart after attending the christening of Prince Louis at the Chapel Royal, St James's Palace on July 09, 2018 in London, England. 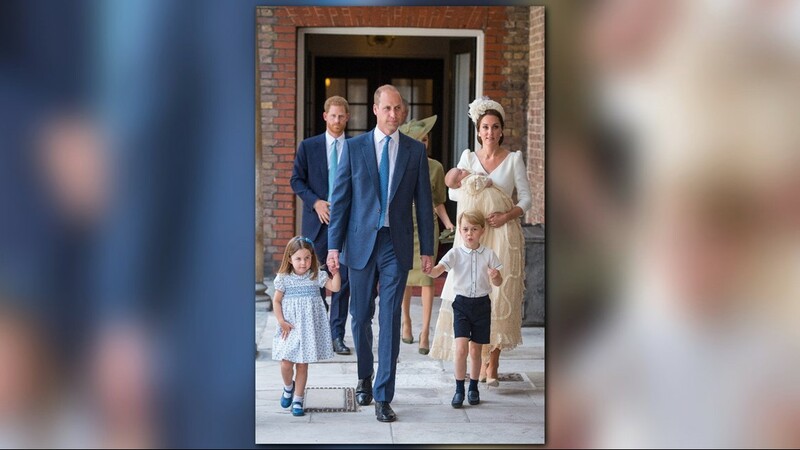 Catherine Duchess of Cambridge and Prince William, Duke of Cambridge with their children Prince George, Princess Charlotte and Prince Louis after Prince Louis' christening at St James's Palace on July 09, 2018 in London, England.